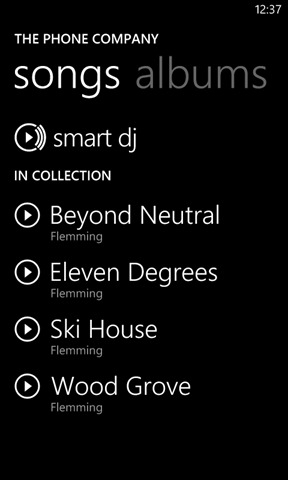 "The next release of Windows Phone introduces on-phone podcasts, new features like Smart DJ (my personal favorite), and loads of refinements and tweaks that make it easier to find and enjoy great music and video. As one of the program managers that helped conceive and design many of these new features (yes, I do get paid to listen to music all day), I thought it'd be fun to tell you not only what changes we're making in Mango but also to give you a little insight into why we've made them." said Josh Phillips. It appears that SmartDJ and Podcasts have made it into the native Music and Video Hub under Mango. 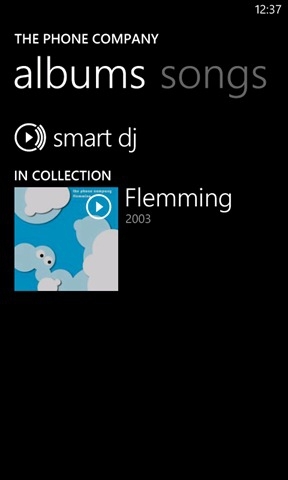 SmartDJ is one of my favorite features of the Zune platform going back awhile now and I love the fact that it will now be included on the phone itself. It works like you'd expect it to with a ZunePass; meaning you can pick a tune or an artist and stream "like" music from the millions available in the Zune Marketplace. Being able to select and manage which Podcast I would like to listen to, store on the phone or stream directly from the phone is also a feature that is much looked forward to.